UOB’s loan growth and fee income to continue driving growth amidst lower credit costs. Announced Digital Bank to scale up regional franchise in ASEAN countries. Declared dividends of 50 Scts/share (2Q17: 35 Scts); possibility of higher dividends for full year. Upgrade to BUY, Target Price S$31.70 (1.4x FY19 BV); FY18-20F earnings raised by c.3-5% on adjustments to NIM, loan growth and provisions. Higher dividends on the back of sustained growth momentum, upgrade to BUY with Target Price of S$31.70. UOB saw record earnings for 2Q18 as loan growth and fee income continues to drive growth amidst lower credit costs. UOB’s strong capital position continues to provide opportunities to tap quality loan growth via competitive pricing. Broad-based loan growth outlook for the year continues to stand tall, supported by strong traction in non-loan and transaction banking income. Capital levels remain strong with fully loaded CET1 ratio at 14.5% as at June 2018. We believe a full-year dividend of S$1.00/share is sustainable and that higher dividends are possible on its higher capital levels with UOB’s new dividend policy as the bank continues to deliver sustained growth. UOB will also be launching its Digital Bank in 2H18 as it aspires to build a customer base of 3-5m across ASEAN over the next few years. We have assumed lower credit costs to UOB’s guidance. We believe that there might be potential upside to UOB’s earnings as it is the key beneficiary from the introduction of IFRS9/SFAS109 as UOB will no longer be able to continuously build up general provisions. Sustained positive deliveries. Further improvement in NIM should support earnings strongly. Lower credit cost is a new trend for UOB and should be viewed positively. Potential dividend upside may also be a catalyst should higher dividends be effected. Upgrade to BUY, Target Price S$31.70. We roll over our valuation base to FY19F and arrive at our revised Target Price of S$31.70 following our earnings adjustment, based on the Gordon Growth Model (12% ROE, 3% growth and 9.4% cost of equity), equivalent to 1.4x FY19 P/BV, which is above its 10-year average P/BV multiple. In the event that trade war escalates, it might trigger further risks to loan growth. 2Q18 earnings driven by higher loan growth and fee income. 2Q18 earnings of S$1.08bn (+10% q-o-q, +28% y-o-y) were ahead of expectations, driven by strong loan growth and significantly lower credit costs. Fee income improved on higher wealth management and loan-related fees but was offset by lower trading gains. Credit costs continue to be at new low of 11bps (vs. historical 32bps). Credit costs continue to be at a new low of 11bps for 2Q18 (1H18: 11bps) with the new IFRS9/SFRS109 in place. New NPL formation continues to be at normalised levels of c.S$400m as in 1Q18. Absolute NPLs increased c.2% to S$4.2bn while NPL ratio remained stable at 1.7% (1Q18: 1.7%). Expenses grow in line with income growth. Expenses were 4% higher q-o-q, 10% higher y-o-y, in line with income growth. Cost-to-income ratio stood at 43.6%, in line with guidance of c.44%. UOB saw broad-based loan growth as loans grew 4% q-o-q, 10% y-o-y. UOB continues to benefit from the Singapore housing loan market and has maintained market share in new sales for the quarter. Non-interest income was strongly driven by wealth management and loan-related fees, but was offset by lower trading income from fair value changes related to hedges (due to interest rate movements). Strong capital ratios, higher dividends declared. Capital ratios stood strong with CET1, Tier-1 and Total CAR at 14.5%, 16.0% and 18.4% respectively. A higher interim core dividend of 50 Scts was declared for 2Q18 (2Q17: 35 cents). Scrip dividend was suspended. UOB is introducing a digital bank for ASEAN’s “mobile first” and “mobile only” customers, in Singapore, Malaysia, Indonesia, Thailand and Vietnam. UOB’s Digital Bank targets to build a customer base of 3-5m, operating at a steady-state cost-to-income ratio of ~35%, while leveraging process redesign and digitisation. UOB will continue to invest in technology-related capabilities as it rolls out its Digital Bank, which is expected to be launched in the later part of the year. High single-digit growth target remains intact. UOB continues to guide for high single-digit loan growth for FY18F, alongside a flattish NIM for 2H18 as it continues to grow its loan book. Credit costs were guided at c.20bps for FY18F, but we have assumed 15bps for FY18F as we believe that there is potential earnings upside from lower credit costs. Alleviating concerns on property-related exposure. Property-related loan pipeline has been strong and UOB has seen progressive drawdown thus far and for the rest of FY18F. Slower transaction volumes ahead are likely to be seen in the next few months, which will affect the mortgage market. However, UOB continues to maintain its market share in new sales for the quarter. According to UOB, its existing mortgage book comprises largely owner-occupied mortgages with a loan-to-value ratio of 60%. 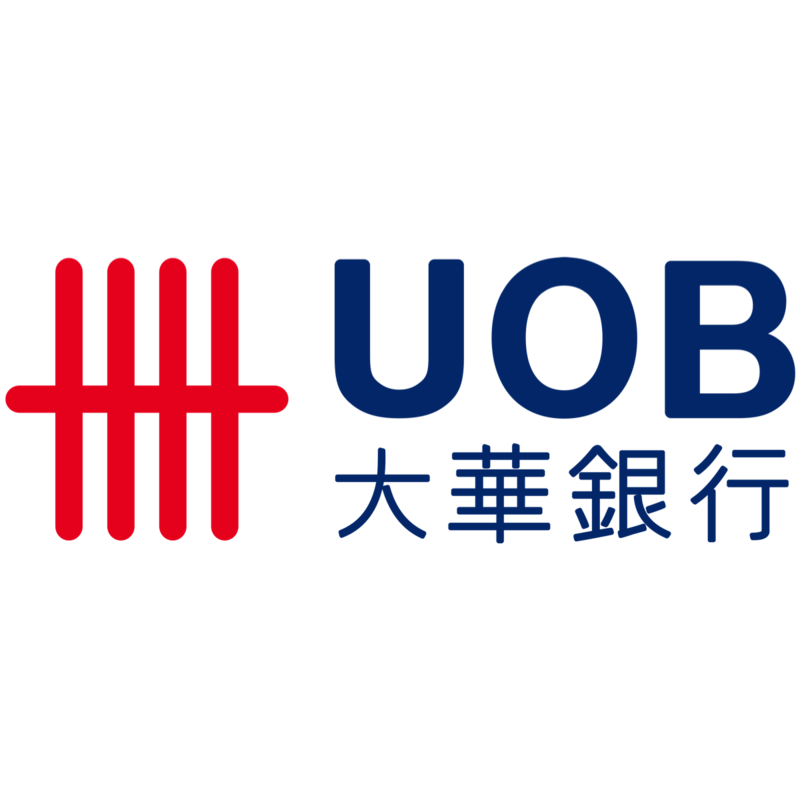 UOB has indicated that it is looking at a new dividend payout ratio of c.50% (of net profit), subject to minimum CET1 ratio of 13.5% and sustainable business performance. We believe there is a possibility of higher dividends above our current assumption of S$1.00/share.